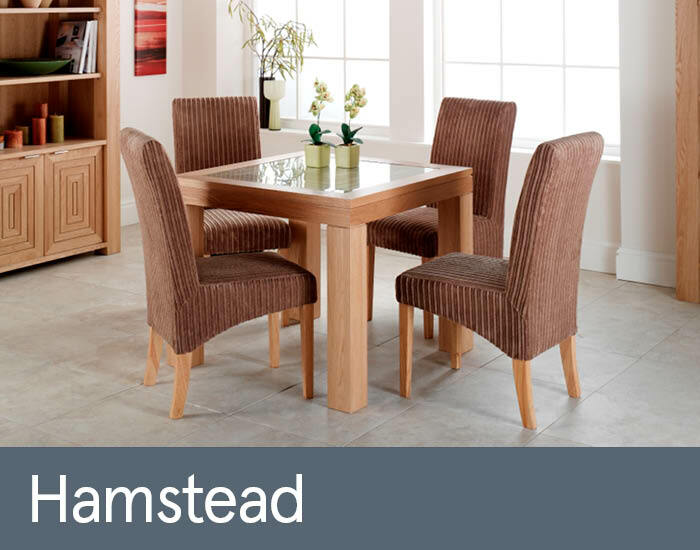 Hamstead is a versatile collection of modern, perfectly proportioned oak dining, living and occasional furniture. Expertly crafted from sustainably sourced solid oak, it is complemented further by a practical oiled finish and a stylish grey tone. Its attractive, geometric carved detailing adds a real designer statement to each piece. Practical tempered glass tops are easy to wipe-clean, and make it ideal furniture for family homes.